With the privacy and security being the most urgent issues in the digital world these days, passwords are becoming the salvation and doom. 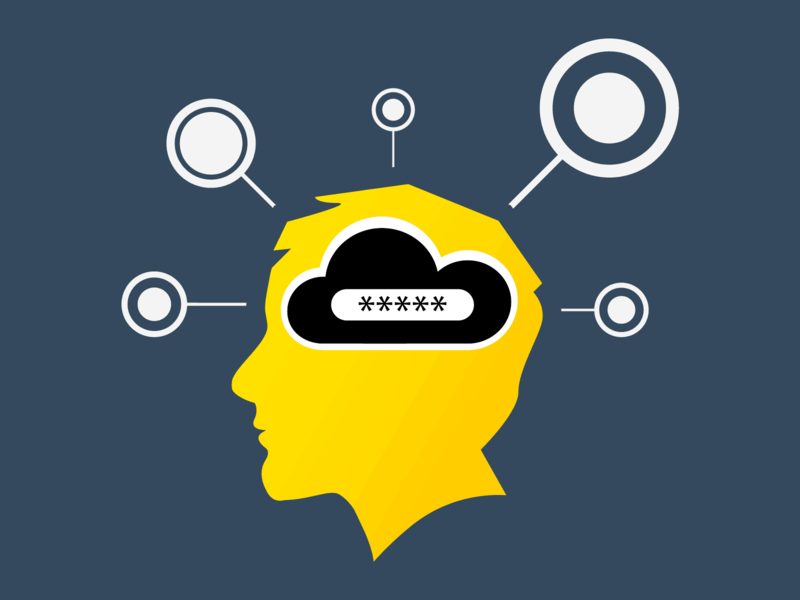 If you do it right, a strong, complex password does a good job protecting your account. But what is a good password done right? It needs to be complex, so no qwerty and password1, or birth dates of your kids. Only password generators can create truly unique and strong passwords. Another important thing is to have a different password for each account you use. Never, but never use the same passwords for different accounts. Even Mark Zuckerberg got his Twitter account hacked because he used the same password across his Twitter and LlinkedIn accounts. Needless to say this is a common practice among less tech-savvy users, which often leads to catastrophes. Remember the iCloud hack that leaked hundreds of celebrity pictures of sensitive nature online? Yes, weak passwords were to blame. The next thing on the agenda is storing these strong, complex passwords. If you have more than two or three accounts, there is no way you can make do with a pen and paper. You need a password manager, and a secure, encrypted vault for your passwords. Finally, managing passwords and logging in from mobile devices is twice as painful as it is on desktop due to the tactile nature of the small mobile keyboards. So, password managers are popular breed of apps, and Dashlane is one of the leaders in the industry. 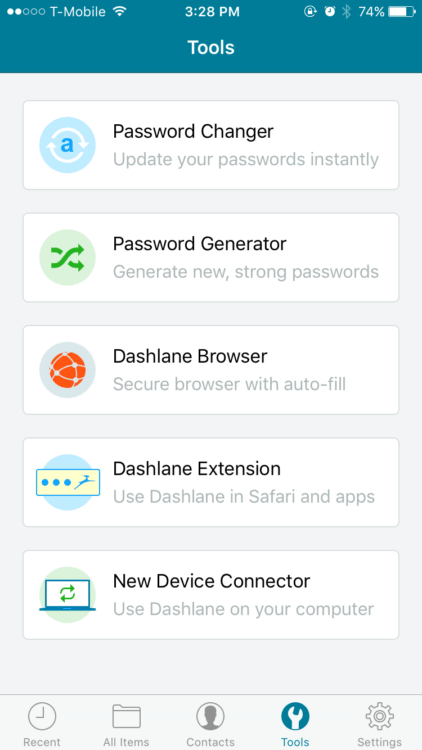 iOS users should know Dashlane just released a major overhaul to its iOS app, adding the most popular features of its desktop app. Check this out. Search. 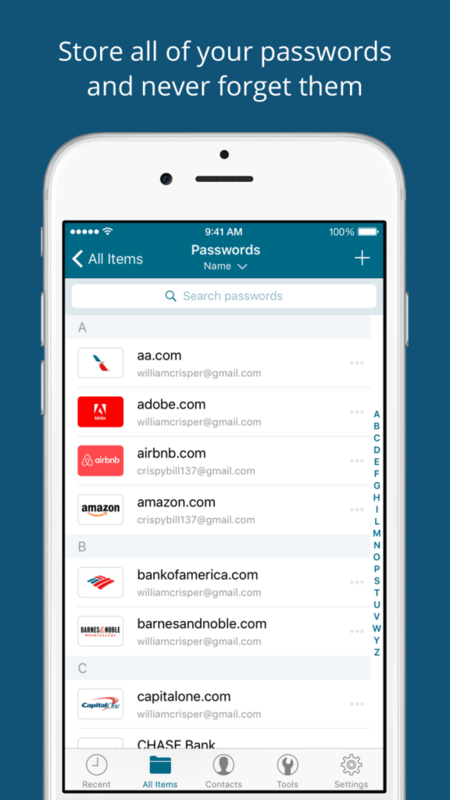 First of all, Dashlane now lets you search for your accounts in its iOS app – just start typing in the initial letters, and the app will pull the relevant accounts. UI. Second of all, and perhaps many of you will find this most impressive, is the redesign to meet Apple’s Human Interface Guidelines. It is clean, intuitive and streamlined in every aspect, meant to make your password management chores a hassle-free affair. Change passwords automatically. The next on the list is the ability to change your passwords in bulk automatically on iPad. This feature was previously available on iPhone and Apple Watch. Just choose the accounts you wish to change the passwords for, and Dashlane will log you in automatically, and change the passwords, storing the new keys securely in the encrypted form. You can only decrypt them on the authorized devices. Safari. 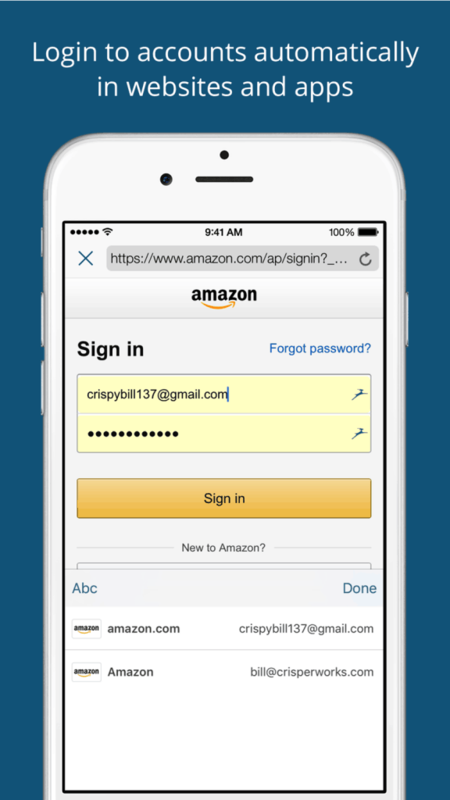 Dashlane now supports auto log in in Safari, so mobile browsing has just become a little faster with the secure log ins. Dashlane has a strong crypto password generator that lets you choose the level of complexity of your passwords. Moreover, the latest revamp streamlines Dashlane to Apple Watch, and optimizes it for the larger iPad screens, too. Dashlane also features secure password sharing, for those cases when you share an account with your family or colleagues. More features for enhanced user experience include better accessibility. 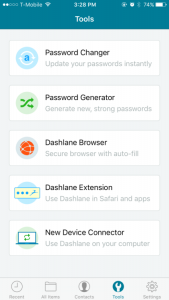 iOS users can now change fonts in Dashlane for better usability and customization. Tabbed-bar menu makes quick actions easily accessible, while the new Contacts view lets you share the passwords faster. The app’s settings now let you choose the level of security for your password manager. For example, you can choose how often the app locks, as well as how you wish to unlock it – with a PIN or a TouchID. You can also clear the history from the Dashlane browser now. “Recent” tab has been added to provide a shortcut to the information you use the most. 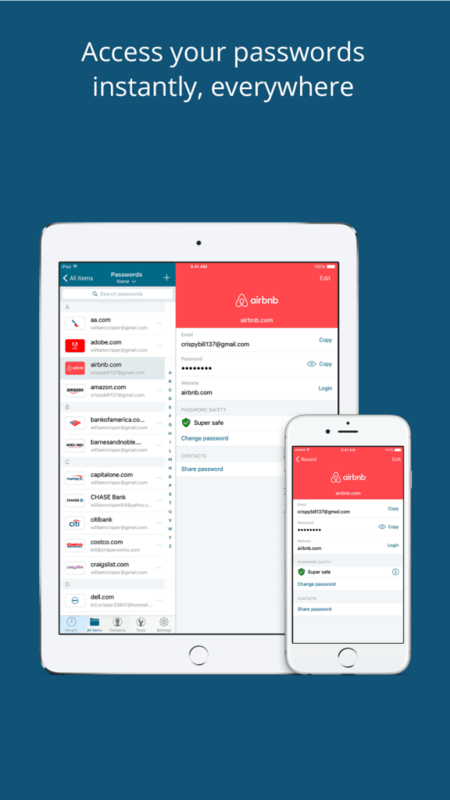 With the introduction of these features, Dashlane unifies its iOS apps across the iPhone, iPad and Apple Watch devices. It’s free if you wish to use it on one device, while a $40 per year subscription lets you sync your account across as many devices as you need. As for the Android users, according to the developers, the update is in the works.